Design Collaboration – Photo-Montages, Poster, Business Card & Website design. WordPress Tutorials + web self – maintenance assistance. 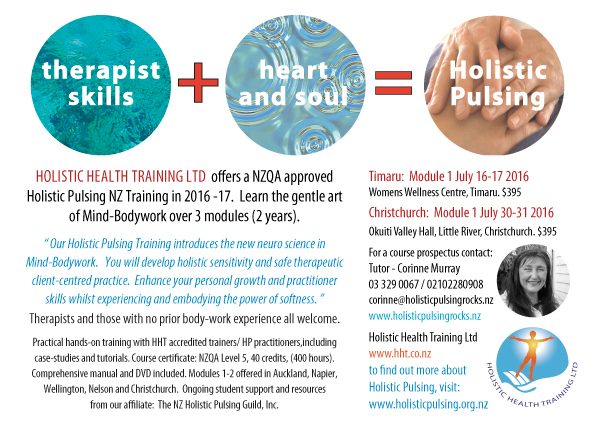 Corinne Murray of Holistic Pulsing Rocks; clinics at Birdlings Flat and Linwood, Christchurch, Canterbury.